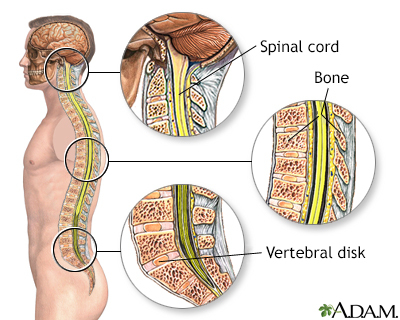 The vertebral column provides structural support for the trunk and surrounds and protects the spinal cord. The vertebral column also provides attachment points for the muscles of the back and ribs. The vertebral disks serve as shock absorbers during activities such as walking, running, and jumping. They also allow the spine to flex and extend.